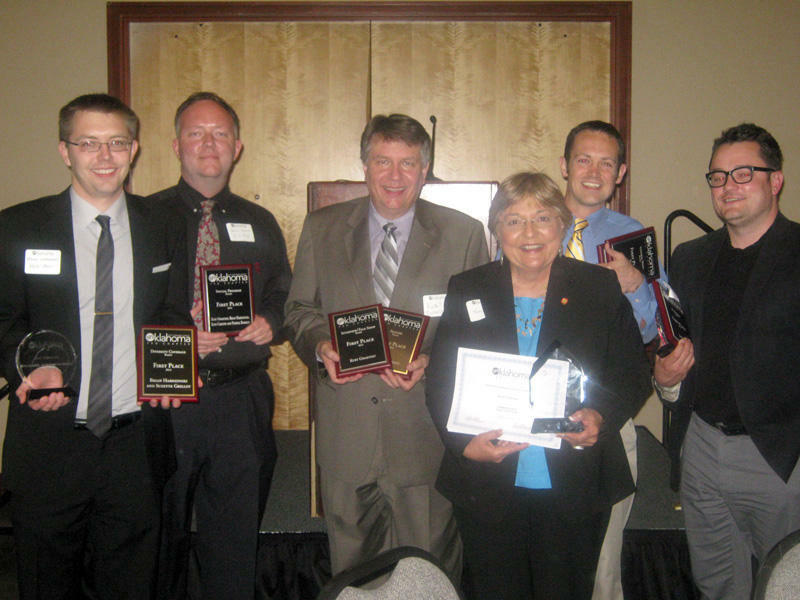 Brian Hardzinski, Patrick Roberts, Kurt Gwartney, Karen Holp, Logan Layden and Joe Wertz after the awards banquet. KGOU and a journalism cooperative it leads, StateImpact Oklahoma, combined to sweep several categories of awards presented by the Society of Professional Journalists' Oklahoma Pro Chapter. The journalists' organization also honored KGOU General Manager Karen Holp as its Teacher of the Year for her work as adjunct faculty for the University of Oklahoma's Gaylord College of Journalism, teaching students who produce a program broadcast on KGOU. The awards were announced at a banquet Saturday evening at the Reed Center in Midwest City. In the Radio division, KGOU won a total of 18 awards, including five First Place awards in the Feature, Diversity Coverage, Special Program, Interview/Talk Show, and Newscast categories. KGOU swept the Interview/Talk Show and Newscast categories, taking first, second and third place awards. 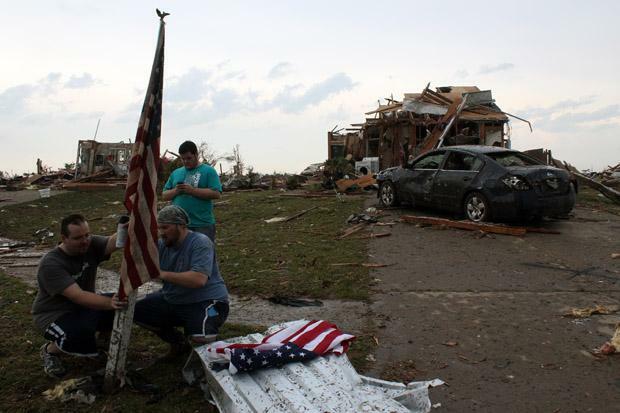 StateImpact Oklahoma was awarded First Place honors in the Radio General News category, and also in Government Reporting, Enterprise Reporting, and Reporter's Portfolio categories. Together, KGOU and StateImpact Oklahoma combined to sweep the Government Reporting, Special Program, and Reporter's Portfolio categories. StateImpact Oklahoma also won awards in the highly competitive Online division. 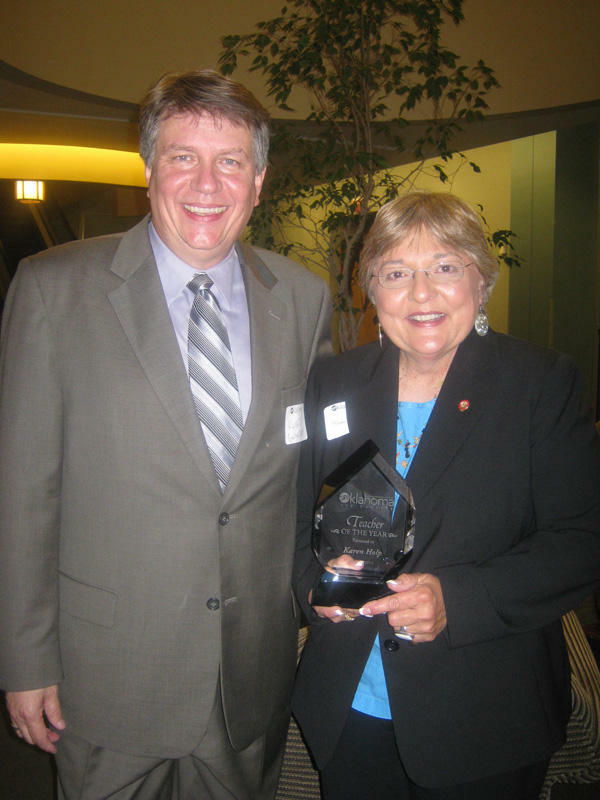 SPJ Oklahoma Pro Chapter President Kurt Gwartney presented Karen Holp with the Teacher of the Year award. In accepting the Teacher of the Year award, one of three special awards given each year by the Oklahoma SPJ, Holp thanked KGOU staff members Jim Johnson and Brian Hardzinski for their assistance. All three serve as editors for the KGOU program Assignment: Radio, produced by students enrolled in Holp's Radio News course at OU. Student work in that class won numerous awards in state, regional and national student journalism competitions in 2013. Second Place: Kurt Gwartney, KGOU "No ‘universal’ best practice to save yourself from tornadoes"
Third Place: Kurt Gwartney, KGOU "Massive tornado takes aim at Moore, Oklahoma"
Judges' comment on First Place winner: To our ears, this story put the storm shelter question in the best context, comparing Oklahoma policy with neighboring Kansas. Very well done. Third Place: Brian Hardzinski, Suzette Grillot and Rebecca Cruise, KGOU "Oklahoma Syria protest, Sikh civil rights"
Judges' comment: This is a valuable public service and a noble undertaking by KGOU. Listen to KGOU's 7:30 a.m. newscast from May 21, 2013 (Editor's Note: This newscast took place before the State Medical Examiner's Office revised the death toll). Judges' comment: Great job bringing historical context to current environmental and public safety issues. The type of solid explanatory journalism that moves listeners.